The Anderson School of Management will officially open its new state-of-the-art McKinnon Center for Management (MCM) The ribbon-cutting ceremony is Friday, May 11 at 1:15 p.m. at the McKinnon Center for Management located at 1922 Las Lomas Road, NE. The event is free and open to the public. The ribbon-cutting marks the end of an 18-month construction project that gives students access to 63,445 square feet of new classrooms, a technology center, advanced IT services, career planning and placement center, advisement space, behavioral research lab, and marketing center. The MCM building was made possible through a $5 million lead gift by Ian and Sonnet McKinnon. The McKinnons both grew up in Albuquerque. Sonnet is an Anderson alumna who earned her BBA in finance in 1993. Ian is a graduate of the Albuquerque Academy and serves on its Board of Trustees. He earned a BA from Occidental College, and MBA from Harvard Business School, and was a finalist for both the Rhodes and Marshall Scholarships. The cost of the new building is $25.41 million, of which only three percent came from state funds. 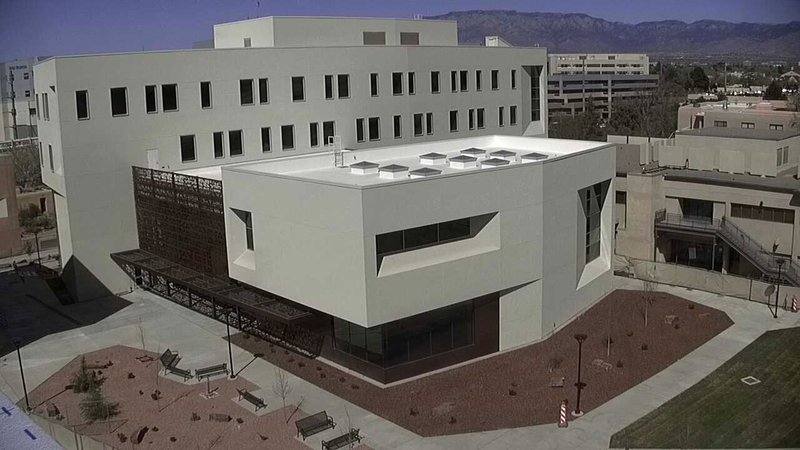 The UNM campus community showed its support for the project by approving $18M in institutional bonds paid for by student fees. A total of $7.95 million came from private fundraising efforts including 219 Anderson alums from 25 states who donated to the Power of You campaign to support the new Anderson Alumni Center for Student Services housed in the MCM. Portions of the private funds raised will be used for the Anderson School Capital Campaign earmarked for Phase II of the building project. The MCM is the first new building dedicated to the Anderson School in 48 years. It is designed to LEED Gold Certification Standards and has a significant emphasis on student-focused services such as high-tech classrooms, experiential learning spaces, and collaborative study rooms. The ribbon-cutting ceremony is Friday, May 11 at 1:15 p.m. at the McKinnon Center for Management located at 1922 Las Lomas Rd NE, 87106 and is free to the public. This is the public’s first opportunity to tour the building, take part in networking opportunities, and enjoy refreshments. Hourly parking is available to guests via debit/credit card at the parking structure located at Lomas and Yale. Anderson students will have their first classes in the building in August 2018. For more information on the new building, visit McKinnon Center for Management.